We can’t deny the importance of digital marketing in this era. Can we? Every small and big business is chasing after securing the top slot of the digital game. Automobile dealers are no beyond. Search engine optimization (SEO), Social Media Marketing, Whatsapp marketing, Email marketing- Digital marketing platform is a wide landscape for any business to get noticed by a wider audience. 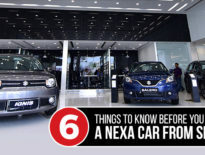 Nexa Premsons is one leading Nexa car showroom in Ranchi which leads the pack. Speaking about social media marketing, we are one of the top-rank holding car dealers in Ranchi which knows how to be the boss across several Social media platforms. When it comes to a car showroom, people stereo-typically think they just promote special offers and greetings wide across the potential buyers. Which is true; but not totally. Let’s discover what’s this race all about. There are a plethora of ways to hit the height of this online brand show. This Nexa car showroom in Ranchi is run by on-the-ball strategies. Hiring a wide-awake digital agency is the safest haven to hold the top spot. It’s highly recommended to have your ‘agency choice’ on the top of the priority list. Because this is the golden egg you have to hatch. But before selecting the one you must know what you are exactly expecting from your agency. Also, make sure your agency understands your core proposition behind the promotion. This will sum up your journey from a newbie to a “digitally acclaimed” one. A little groundwork about the other leading online brands can only get you a proper understanding of the trend. It can give you the notion of the high and the low points of the existing brands. This is a cheat sheet to climb on the quick success ladder. Having counted in top car dealers in Ranchi how can we skip this block? In order to lock a higher sale rate, keeping track of the trend is of substance. See Also Nexa Monsoon Offers: Want to buy a Nexa car this August? Facebook– Facebook is the one rich public platform that has the highest potential customer visit. Lately, it has developed into the biggest lead generating platform for every small and big business. You can easily highlight your service and offerings and specify the region for showcasing as well. Regular posting on social media platforms results in acquiring a higher audience pull. Creating polls, running o cab engagement campaigns or contents are the established method to earn overnight fan following on Facebook. Twitter- This business platform with limited content posting offerings. This is one major tool to expand your influence. This platform is all about reaching to people who matter to you the most. Choosing the right hashtag, right person, and the right geographical area will keep the ball rolling. A strong call to action does the rest. This platform has active users of 67% (approx) are willing to buy your product. A combination of organic and paid reach will grab the sweet spot. Instagram- Instagram eats, sleeps, breathes image and so do the visitors. This is the right platform to showcase photos, videos, stories of your brand. Instagrammers have a common trend to connect with the brands immediately. The more audience soaks up the higher you build the community. For showcasing offers and discounts this is the most suitable social media platform where people hook with just a log or punchline. Wondering to buy Nexa cars at the best price? Visit our showroom before the festive season ends. 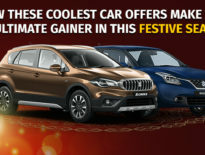 You can avail attractive discounts on booking of Nexa cars and many more.